80W Joyetech eGrip II VT Kit 2100mAh is a powerful full kit. The eGrip II MOD has VVariable temperature control function and built-in 2100mAh battery. 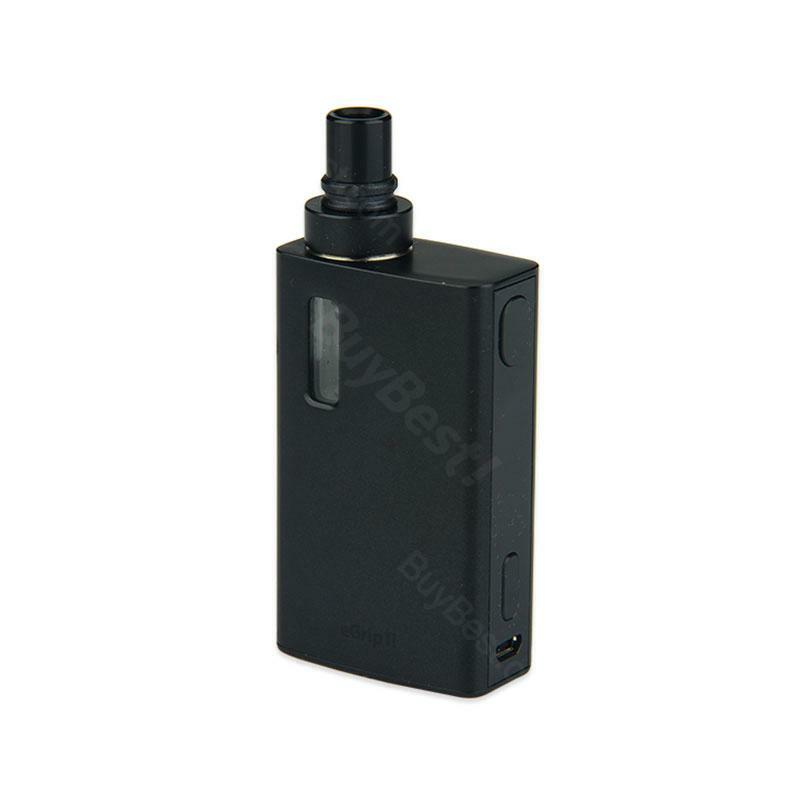 80W Joyetech eGrip II VT Kit 2100mAh is a powerful electronic cigarette full kit. The eGrip II MOD has VVariable temperature control function and built-in 2100mAh battery. Two types of e-juice capacity for your choice: 3.5ml standard edition and 2ml EU edition. This is an all-in-one e-cig kit with TFTA-Tank technology and 0.96 inch OLED large screen. 5 colors and 2 editions you can choose! • eGrip 2 Kit doesn't come with e-liquids. You shall purchase e-liquids separately. Great price and vape kit. eGrip 2 is a nice setup for stealth vaping. Only con that it's quite easy to leave fingerprint. Better to use a silicone case with it. Love the egrip. It's very convenient to put in the pocket and take it out for a puff any time. Got a 80w egrip for my girlfriend and she loves it.